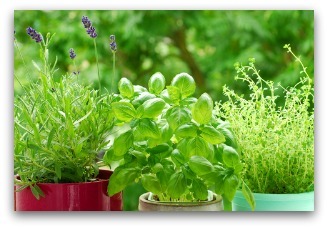 Herb container gardens are a great way to grow your own fresh herbs for use in your kitchen! 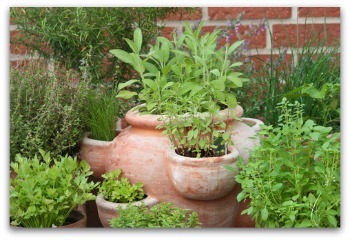 Designing and planting an herb garden in containers can provide fresh herbs year-round. They also make a lovely addition to your sunny patio, porch or balcony, as many herbs also have beautiful flowers when in bloom. 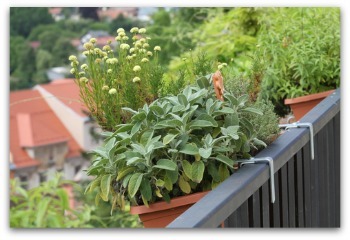 Probably no form of gardening provides more versatility than a container herb garden. 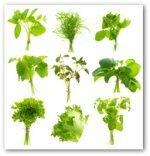 Growing herbs in containers makes it possible to successfully grow plants in conditions where little space or available time for gardening exists. Container gardening is ideally suited for anyone with physical limitations such that prevent them from working in a traditional ground level garden setting. On a balcony, rooftop, patio, deck, or kitchen windowsill, there are endless possibilities for growing a successful container herb garden. 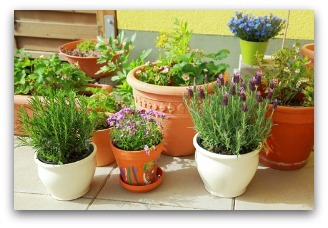 Growing herbs in containers provides an extra dimension of gardening pleasure, both indoors and outdoors. Spice Up Your Life or Your Patio! 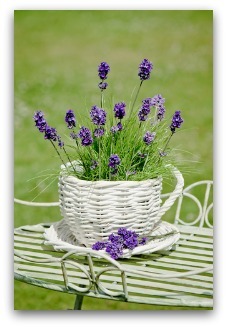 A few herb plants grown in a container can spice up a patio with its fragrance. 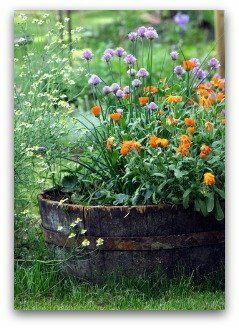 Container gardens can also solve the problem of poor soil conditions in your area. 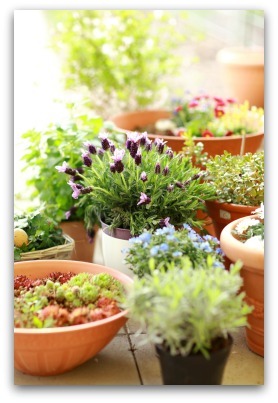 A container herb garden makes a perfect complement to garden fresh vegetables. The containers may be decorative or plain and simple. Container material choices include clay, plastic, wood, metal, ceramic, terra cotta, alabaster, and wrought iron. Recycled items such as a child's outgrown red wagon or discarded hanging baskets can be used. As long as the container is capable of holding in soil and allows water drainage, let your imagination run wild in choosing which pots to use! 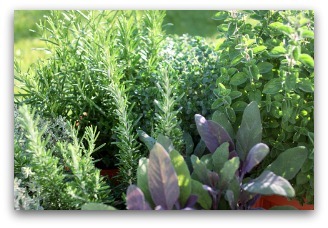 An advantage to growing herbs in containers is their portability. You can move the plants from one location to another easily to accommodate the plant's growing requirements. 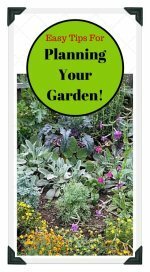 Another bonus to a container herb garden as far as maintenance goes is care of the garden requires only a short daily check. It is necessary to maintain a consistent moisture level. Soil moisture should be checked in a container herb garden everyday. To test the moisture level, rub a small amount of the surface soil from each pot between your index finger and thumb. 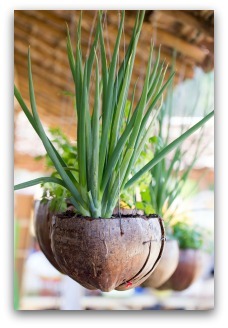 Ideally, water the planters before the soil becomes bone dry. On the other hand, you do not want the soil to be soaking wet, as this may drown the plants! 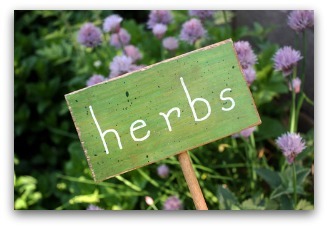 The best approach to deciding which herbs to grow is to make a list of the herbs you are most likely to use. Find out the growing requirements of each plant such as soil, light, and water. Determine full-grown height and growth habits. Basil planted in a container herb garden on your windowsill should keep most flying insects away. 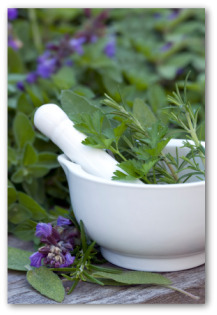 As a general rule of green thumb, herbs possess the highest flavor in their leaves just before they bloom. 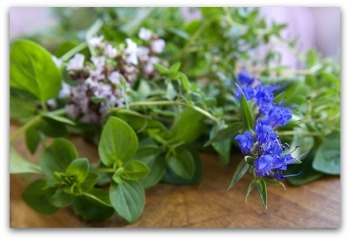 Harvesting herbs for fresh use can be done throughout the growing season. 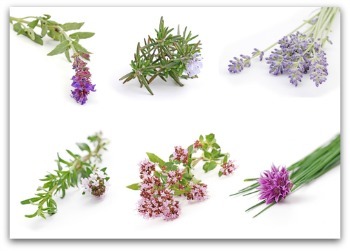 Thyme, rosemary, and sage are among the perennials that require the actively growing shoots to be snipped in lengths of about six inches. To harvest annuals, collect a few leaves as needed.